We Will Beat Any Bid or Estimate by 5%. DFW Best Roofing has been in the roofing business since 2008 and we put craftsmanship above everything else. While your home’s roof may not get the same amount of attention as the kitchen or bathroom, it plays a vital role in protecting your family’s most valuable asset. Call 817-381-6855 Today! We’ve built our reputation as the DFW area’s best roofing company by focusing on quality and approaching every home we work on as if it was our own. Contact us today to schedule a free consultation and learn why DFW Best Roofing. was selected as the 2015 Houzz's award for customer service. You can find examples of our work in the finest homes, public schools, universities, shopping centers, and professional/industrial buildings throughout the Plano and DFW area. We not only service your roofing needs, we also do a variety of exterior remodeling services; gutters and downspouts, chimney repairs, exterior remodeling, windows and doors and more for property owners that have put quality workmanship first. We will also beat any written bid by 5%. Accounting for about 80% of the residential roof surfacing in the United States, asphalt shingles are measured against a variety of standards that evaluate fire and wind resistance, tear strength, and other key performance indicators. DFW Best Roofing is proud to install CertainTeed asphalt shingles – the premier manufacturer of asphalt shingles in the United States. CertainTeed manufacturers the industry’s most extensive line of asphalt shingles. DFW Best Roofing also installs TAMKO, and GAF. Metal roofs can provide homeowners with many benefits normally found only in commercial roof systems. Metal is synonymous with strength and toughness. 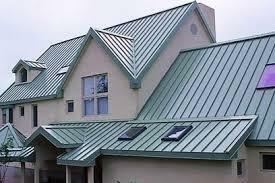 But as a roofing material, strength is only one of the advantages of metal roofing. Metal roofing is surprisingly affordable with life-cycle costs that are substantially lower than conventional roofing materials. This includes Gerard, Decra, and other great metal roofs. Although they have been around for centuries, clay tiles are regaining popularity as a finished roofing material throughout the country – and for good reason. Both clay roof tile and its modern partner, concrete, are not only beautiful but also extremely durable. With proper building design and installation, tile roofs can last 50 to 100 years or more. Properly constructed flat roofs can provide acceptable, long lasting solutions to complex roof problems. The DFW Best Roofing. staff has the years of expertise and the skilled craftsmen required to design and install a flat roof system that will be aesthetically pleasing and function effectively to protect your home for many years. We are experts of TPO, EPDM, PVC, and other commercial roofing systems. Did that storm last night leave your lawn littered with roofing shingles? Are you trying not to get used to the monotonous dripping sound of your roof leaking into the pots, pans, and buckets spread throughout your home every time it rains? Are you afraid to go into your attic and find that thing you've been looking for because you're afraid of what kind of monster might be growing amongst your damp belongings? Do you need an umbrella inside? ...if you answered yes, to any of these questions, you are most likely in serious need of our services, and we're glad you found us. 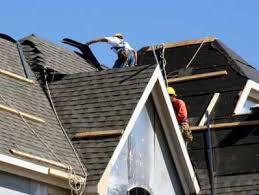 Our roof repair and maintenance services are second to none and are the best in the area.